Classy and fabulous: "But You Can't Change Her Mind Even If You Like To"
"But You Can't Change Her Mind Even If You Like To"
Shorts and a jacket - a harmonious and trendy union! Brava! WOow AND the (so softly leggy) way you wear these Trendy shorts (certainly) make flirt "Urban Chic" with the Heights of understated Sensuousness I can't help BUT confess Here Dear !!! Such a pretty Zara find! It certainly adds sparkle to an outfit. Die for your clutch! Perfect glam touch to this lovely and chic outfit! this is awesome darling, you look so elegant & chic again! I had a quite nice weekend, hope you too! Sumochka zamechatel'naia! I tebe ochen idet krasnaia pomada! YES! very classic and chic with the black and beige. 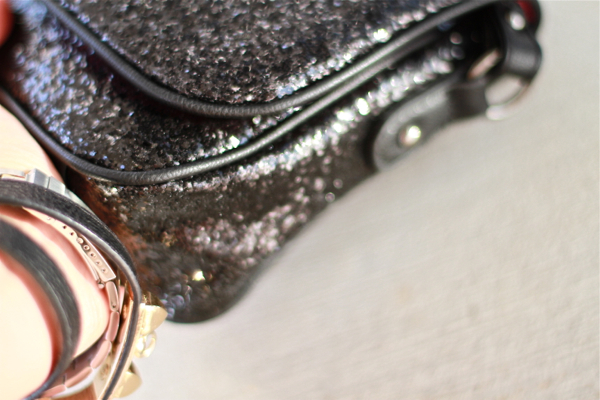 I love the little glitz with the handbag bag! This Outfit is simple, stylish and elegant, color combination is wonderful! First picture is simply awesome! You look charming in this adorable outfit!! Lovin this outfit. Classy, and the bag makes it complete :)! You have got good sense of style. lovely classic outfit with just the right amount of pop with the glitter clutch :) love it! Love the black outfit with the red lips. And the glitter purse is so great! Thank you for all the comments, lovelies!!!! you need to wear lipstick more often! that shade of red is gorgeous. and super jealous of your coated denim in the post above this one! love them! Nice!! always loved the combo of shorts and blazer! Love the red lips. You look amazing!